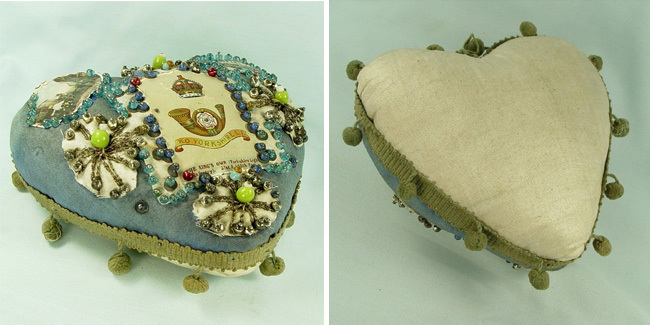 These embroidered cushions, measuring about 20cm in width and decorated with beading and decoupage are known as Sweetheart Pincushions. 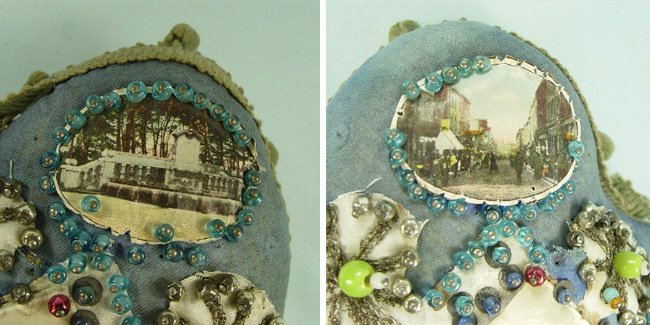 Produced in World War One (1914-1918) mostly by wounded soldiers as they recovered in hospital, they were sent home to wives, mothers and loved ones as a token of affection across the miles. 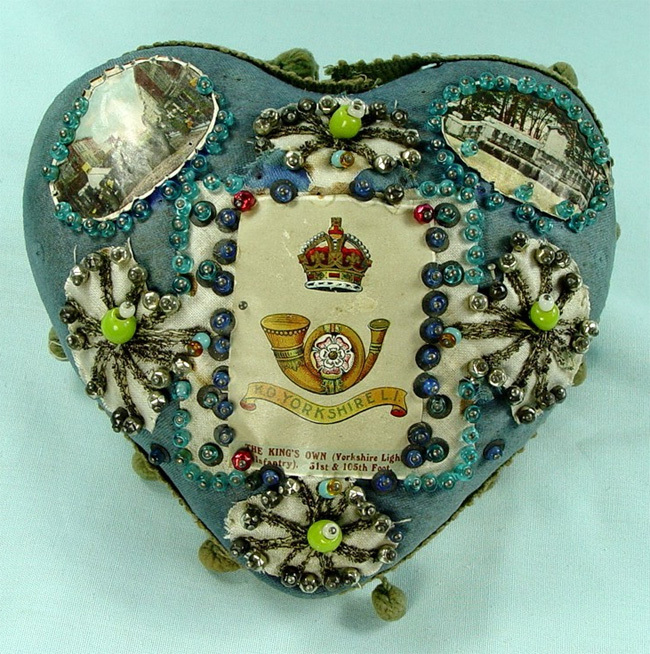 Purchased as kits containing printed fabric, threads and beads – all the materials a soldier would need to hand craft a memento for his loved ones - Sweetheart Pincushions measure up to 20cm and were likely never used as pincushions but rather kept as treasured tokens of love. Clearly a labour of love, I find the detail and mottos absolutely heart-breaking. 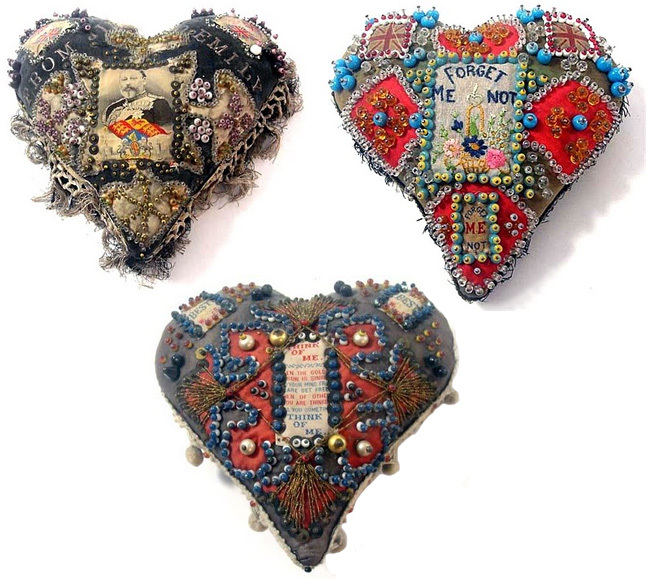 Despite the terror, tragedy and fear that war threw at these brave soldiers, every one of these intricate, delicate little hand-crafted hearts tells a story that has such love and hope in every stitch. 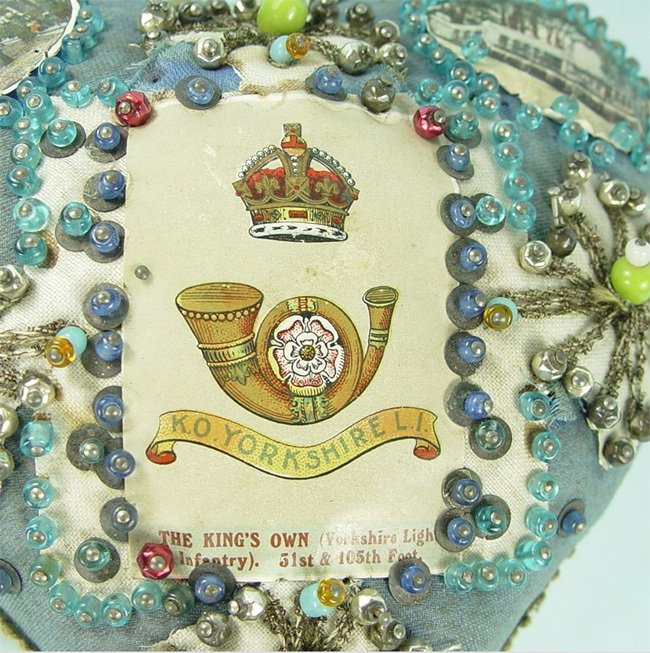 Below: Details of a Sweetheart Pincushion produced by a soldier in the King's Own Yorkshire Light Infantry 51st+105th Foot. It’s been hard to find much information on these cushions online, but if you are interested in further reading, Amazon stocks a book entitled 'Sweetheart and Mother Pilows' by Patricia Cummings on the subject.